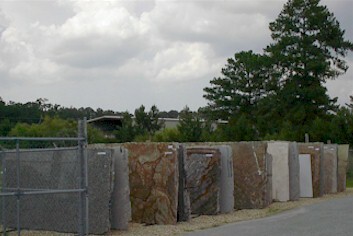 Welcome to Golden Isles Granite & Marble, "Premium Fabricators of Natural Stone." We have answers for all your natural stone needs. We custom fabricate granite countertops, vanity tops, fireplace surrounds, and any other application you may have for natural stone. 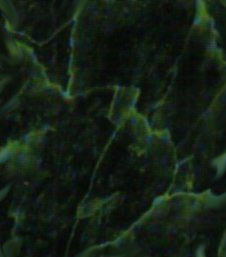 We offer many different colors and styles of granite, limestone and marble, available in both slabs and tiles. We also offer landscape stone such as flagstone, field stone, river rock and boulders. We have proudly served all of Southeast Georgia for more than eight (8) years, and our reputation for quality and service have withstood the test of time. Our commitment to customers is to provide the finest fabrication, the best and timeliest installations, and to always stand behind our work. We carry a selection of granite slabs on site, including our most inexpensive line of granite, which can be installed for as little as $45.00 per square foot! Choosing your slab from our in-stock selections can expedite the time needed to get your project completed. We have over fifteen (15) different colors from which to choose. Click on the inventory icon above to view our current selection of slabs. If you don't find what you're looking for on our yard, we have many distributors throughout the Southeast, including Florida, South Carolina and North Georgia where you will find hundreds of colors from which to choose. Contact us to find the most convenient distributor for your location. We also carry a large inventory of landscape stone, including crab orchard (brown) and gray flagstone, field stone, river rock and boulders. We offer pricing by the ton or by the pound, and delivery is available for an additional fee. Click on the inventory icon above to view our current selection of stone. To learn more about hardscapes, and what will be needed for your project, click on the hardscapes 101 icon above. We can also refer you to a professional installer who can advise you as to the cost and requirements of having your project designed and completed. We hope you find this web site helpful and informative. Within this site you will find all the products we offer, including our in-stock slab selections, landscape stone selections, sink selections, cleaning products and many helpful tips on care and cleaning of your natural stone. You will also find an explanation of why granite is the best surface for your kitchen countertops, and some photos of recent projects. We have a page where our current customers can view the granite slabs that will soon become their countertops. We are very interested in your suggestions and opinions of our company and our web site, so please visit our contact page or give us a call, send us a fax or an e-mail, and let us know what you think and how we can better service your natural stone needs. We appreciate your business, and look forward to continuing to provide to the people of the Golden Isles the quality and service they deserve.